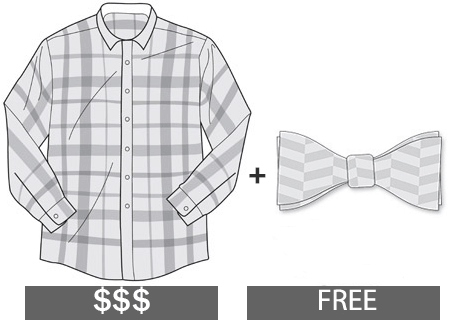 Enrich your cart price rules list with 20 more promo actions. Run a great variety of exclusive promotions to easily attract customers' attention and increase sales. Every day online merchants offer tons of hot deals and tempting discounts to their customers. Therefore, it's very important to create really exclusive promotions to stand out in the crowd. Unfortunately, it will be hardly enough to use native Magento functionality to amaze store visitors. Special Promotions for Magento 2 extension offers 20 more discount actions that will help to run promo campaigns based on the cheapest/most expensive products, quantity steps, cart subtotal and spent amounts. Easily create numerous percent and fixed discounts to win customers' appreciation and sell more. Which types of promotions you can run? How to highlight such promotions? You can display a banner for all products at a time, for certain product categories, or separate items. Show different types of banners for a product at the same time. Or display special banners for definite items. Provide the necessary products with vivid labels. Use them separately or strengthen the impact together with banners. 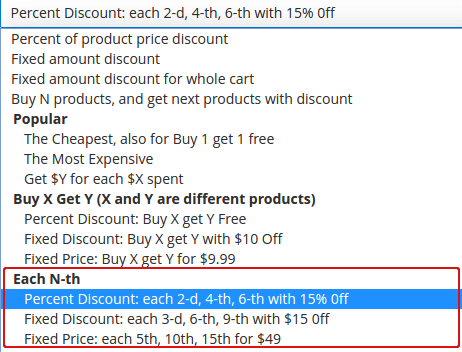 With the Magento 2 promotions extension one can configure promotions like 'Purchase One and Get One Cheapest (or Most Expensive) Free', 'Buy 5 items, get the most expensive (cheapest) for 25% off' and so on. As soon as BOGOF selling model is an effective tool that encourages customers to make more purchases, cheapest/most expensive based deals will definitely help to quickly empty your stock. Due to the 'Get $Y for each $X spent' promo type you will be able to easily increase your average order value. Offer deals like 'Buy products for $500 and get $100 discount' to motivate customers spend more. With the 'Each N-th: Fixed Discount' action of the Magento 2 promotion extension its possible to set any sum as a fixed discount and create as many various deals as you need. E.g. 'Get each 3rd book with $10 discount’. Choose products, to which the discount will be applied first: to the cheapest or the most expensive items. The option is available in Each N-th, Each group of N and Each product after N actions. Magento 2 discount module also allows you to run quantity step based promotions with a percent discount, so you can easily offer 'Each second camera for 30% off' or 'Get each 3rd bag with a 15% discount'. Configure "Each N-th" actions to create promotions like "Buy N identical items and get the N-th one for 5$ (or with fixed/percent discount)". As a result, the discounts will be applied only to the same products in the cart, not to all the products. Flexible extension settings allow offering sets of definite products (you should specify SKUs). Also, you can let customers compose their own sets from products of specific categories (in this case, you should determine these categories). Perform a large variety of tasks by using special web services, provided by Magento API. Display banners according to your marketing ideas. With the extension, you can start the checkout page promo or use any other place on the web store (on the cart, category and product pages) to advertise. You can also expand your catalog to shopping engines with this quick tool for generating Facebook product feeds. What I like about amasty extensions is great support and regular updates. Discount breakdown added recently is very convenient. My special thanks for this feature. In general such modules are must-haves if you want to have many promotions. This one works fine and I think has more features than others on marketplace. Recommend. Module is great it’s very easy now to manage my store, measure which discounts work. It’s very configurable and sometimes too much. Like I had troubles with buy x get n of y. Tried to set it up but something always got wrong. It got that sometimes I put one product to another promo and this one didn’t work. And you can't see it works or not until you try. I wrote support and they agreed it was too complex and fixed it now there’s no more conflicts. Thanks to support. A comprehensive module to run any kind of promo campaigns you can imagine. Actually I don’t use all the rules, but 10or 11 of them I apply quite often. I was very pleased with the work of their support agent – so friendly and helpful. I used this amasty tool for magento 1, so when I decided to migrate to magento2 I purchased this app hoping it would be as great as its mother version. Fortunately, it lives up to my expectations! Yes, the module wasn't perfect at once, and yes - I had to apply to support. But these guys know what they do. Due to timely updates and a really qualified support team I finally got what I expected. The module creates the same rules as its magento 1 version. Highly recommend. – Two new settings added for actions conditions: Custom Options' SKU, Custom Options' Values.